2. Maximum output current is 5A for input-output difference <5V. 3. The maximum output voltage is +/-50V. 4. 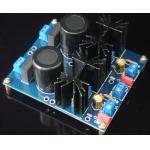 Accept AC or DC voltage source. 5. 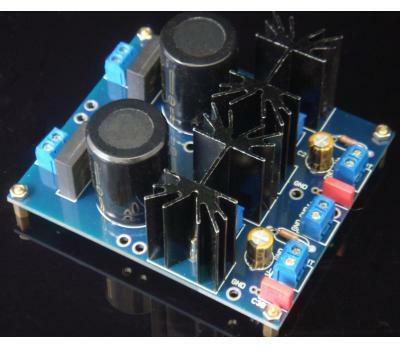 Two outputs either serial or independent set by the provided jumper (serial for double output voltage or positive and negative voltage sources; independent for two isolated voltage sources. 6. Use of low dropout regulator LM1084-ADJ with line regulation of 0.015% (typical), load regulation of 0.1% (typical). 7. Big reservoir capacitor with 30mm diameter.